Let’s face it: holding one’s wedding, birthday party, family reunion or another special celebration at a French chateau is the dream that many of us have long presumed to be so unrealistic, we often don’t even contemplate it. That perception of unrealism may be based on worries about the likely cost, or even just the fact that so many French chateaux are situated in sprawling countryside that may seem to make them less-than-practical venues for an event you wish every guest to be able to attend. However, you don’t necessarily need to dispel the French chateau dream quite so quickly. As we explain below, if you do select the right venue, it could just make for a special occasion that is one of the most memorable you have ever had, for all of the right reasons. As beautiful as French chateaux typically are – including not only the refined furnishings and crystal chandeliers of their monumental halls and suites, but also their often spectacular surrounding grounds – the persistent perception that they’re all situated ‘in the middle of nowhere’ is a little unfair. That’s because when the nobility and gentry actually constructed these resplendent residences in previous centuries, they often made a point of doing so within reasonable travelling distance of a major town or city in which they may have regularly needed to do business. Consider, for example, the 19th-century-built Château Bouffémont, which is one of the many sought-after French chateau wedding venues. 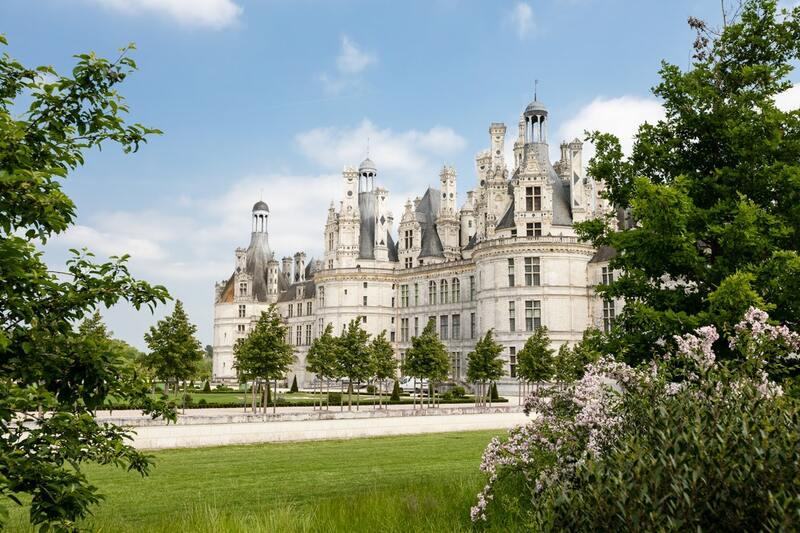 It may be located in the heart of the Montmorency Forest, complete with extraordinary gardens, but it is also a mere 30 kilometres from the centre of Paris, as well as 20 minutes from Charles de Gaulle Airport. That’s a more than practical proximity. The term ‘chateau’ is defined by Collins as “a large country house or castle in France”, but French chateaux are so much more than this. Indeed, an entire mythology seems to have sprung up around them, with so many people contemplating hiring one for an event largely on the basis of their captivating history, as is routinely apparent across their splendid interiors. Again, Château Bouffémont is a case in point. This stone-built former residence of the Marquise Preignes and Baron Empain hosts some 2,000 square metres of living space over its four floors, encompassing such exquisite rooms as the Salon des Anges and Dandy Lounge that you may wish to call upon for your nuptials or other special event. There’s one more reason why French chateaux can frequently make so much sense for weddings or other special occasions in 2018: the fact that they are so often carefully looked after by people who are truly passionate about heritage conservation and who also know – from experience – how to assist people like you in organising the perfect big bash. This is certainly the case at Château Bouffémont, with its dedicated staff who are always on hand to help guests with their requests, as well as its partnerships with all manner of local, national and international vendors, as can make such a massive difference to the success of an event. It’s one more priority that you should have when you are looking for the ideal venue for your upcoming wedding or other special occasion, although in all of the above respects, you can so often depend on a French chateau venue to excel, time and time again. What are you planning for your next special occasion? Previous Article← How can you style last years clothes this season?